A guest lecture on Aptitude Skills by Mr. Ajay Kumar, Director -Time Education was organized by ECE Department of GLBITM, Gr. Noida on 04 August 2017. 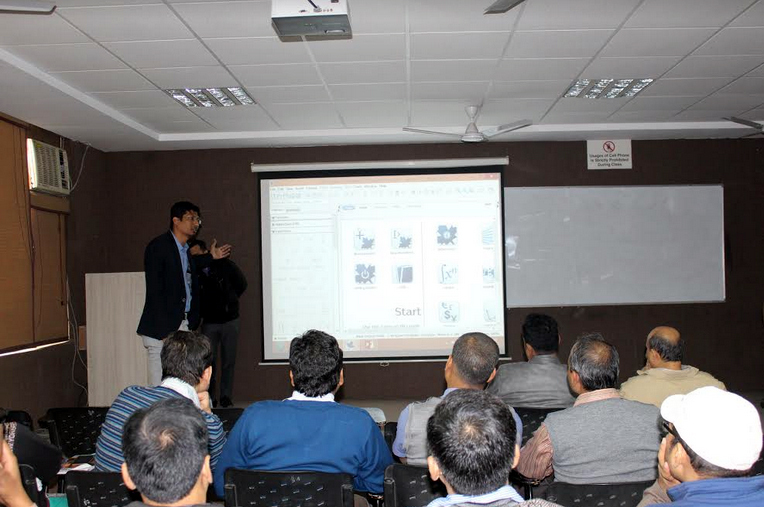 During the session he discussed the various tricks to solve the tricky questions in few seconds. As detailed by Mr. Kumar the use of aptitude and knowledge tests to screen potential job applicants has long been standard practice across many different sectors. As such they have become an important and integral part of the overall interview process. Students solved around 10 questions of Aptitude during the lecture. The main aim of the guest lecture was that the students can enhance their chances of selection in placement interviews by developing and sharpening aptitude skills.